Expand your XenoShyft: Onslaught game with the brand new Grafting Lab Expansion available at your local retailer now! When odds are overwhelmingly against you, sometimes you must do the unthinkable. It is with that adage in mind that Nortec developed the grafting lab. A place where man meets monster, and the results are undeniably effective. 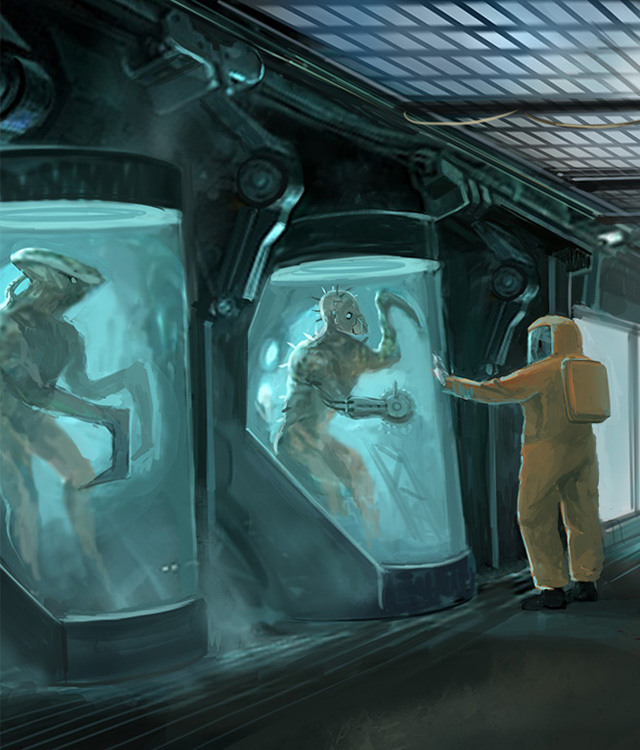 The XenoShyft: Onslaught Grafting Lab Expansion gives players a new division to choose from as well as grafting items that improve their troops’ ability to squish the bugs, even if it’s at the cost of their humanity. You and your teammates will have to work together to survive the continuous onslaught of powerful alien threats and horrors- the goal of the mission is not to wipe out these threats, it is merely to outlast them!